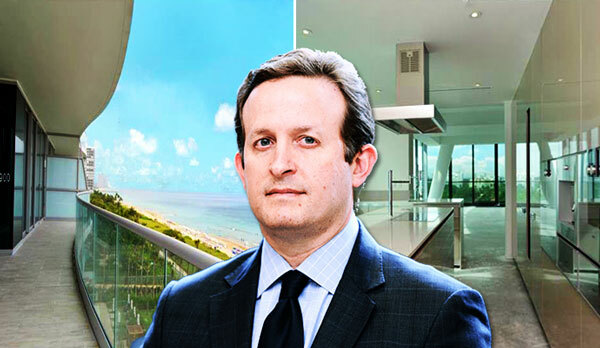 Financial technology executive Jeffrey S. Sloan and his wife Victoria just dropped $8 million for a condo at Fendi Château Residences in Surfside, property records show. Jeffrey Sloan is CEO of the publicly traded financial technology company Global Payments, and is also chairman and president of the Electronic Transactions Association. He earned $8.2 million in fiscal 2016, according to Global Payments’ 2017 proxy filed in March with the Securities and Exchange Commission. The Sloans new three-bedroom, 4,660-square-foot condo traded hands for about $1,710 per square foot. New York attorney Christian Curtis signed on behalf of the seller, Nassau, Bahamas-based Chateau Ocean Unit 706 LLC, managed by Kim Thompson and Dillian R. Dean. Records show the company paid $6.9 million, or about $1,400 per square foot, for the unit in 2016. Shortly after buying the condo, the Bahamian financial executives listed it for $9.58 million, or nearly $2,000 a foot. The latest trade reflects a 16 percent discount off its original asking price. The Château Group completed the 12-story, 58-unit building at 9365 Collins Avenue in September 2016. The beachfront development was designed by Arquitectonica and includes pools, a Jacuzzi, 12 private cabanas, a restaurant and bar, a fitness center and a spa, kids’ club, private theater, private dining room, wine cellar and Shabbat elevators.